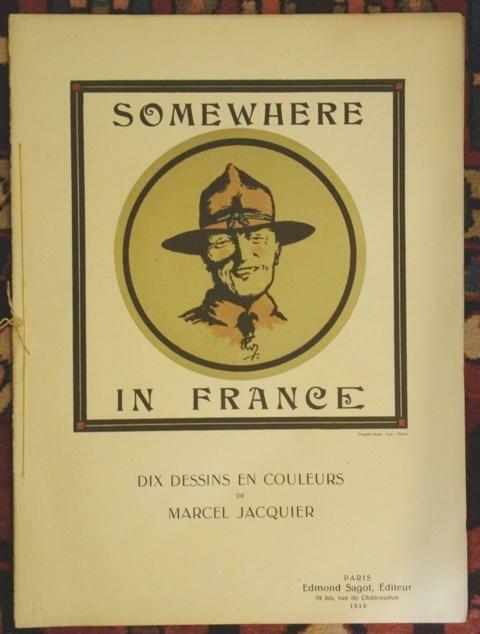 Published in Paris in 1918 (presumably coincident with the end of World War I), Marcel Jacquier created a suite of ten colored woodblock prints of American soldiers and sailors in France. Similar in style to the illustrations of Sir William Nicholson or the Beggarstaff Brothers (a collaboration of Nicholson and his brother-in-law William Pryde), the prints rely on heavy black lines defining areas of soft, almost watercolored pastel shades. A student of Luc-Olivier Merson, trained at the Beaux-Arts in Nantes and then at the Académie Julian in Paris, he was a member of the French Artists from 1909 and appeared at the Salon of the same Society. He was also decorator for the pavilion of Brittany at the Universal Exhibition of 1937. 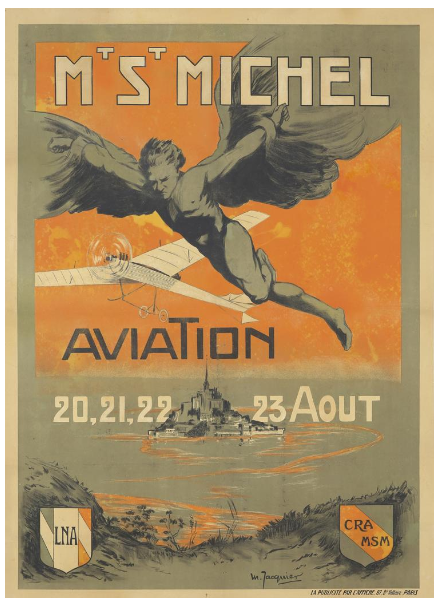 Both before and after the war, he also illustrated posters and other advertising, such as the 1911 poster below. Our copy of the Jacquier folio was purchased in Paris by Agincourt native Michael Schütz, an American doughboy who remained in France after his service long enough to establish contact with Rev Gaston Cornot, priest at the church of Saint Ahab in Azincourt. The folio had been in possession of the Schütz family until it was gifted to the Community Collection, honoring the several local men and women who enlisted in the war effort. By agincourtiowa in Landscapes & Livestock, Uncategorized on Saturday/30/March/2019 .